When done correctly, social media is one of the most effective and affordable marketing tools a brand can utilize to take their brand to the next level. 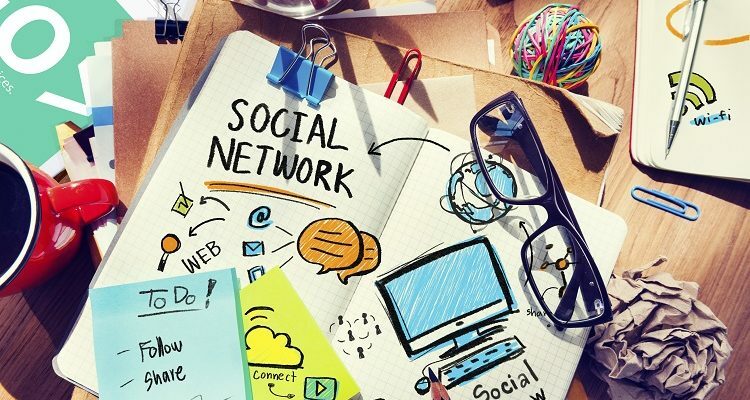 A well-managed social media marketing plan can lead to a great way to showcase your brand’s unique voice and personality in a relatable fashion. Time spent on social media will help improve your website’s content, SEO, and will help you drum up more high-quality leads. All these gains are rooted in a well-executed social media marketing plan. Facebook – The world’s most popular social media platform has gone through many changes over the years, but it continues to be an essential tool for any online marketing strategy. It’s estimated that over 70 percent of adults have a Facebook account and most people have the app on their phone. With high engagement and a large community of users, Facebook is one of the best places to influence people and connect with more individuals. Social media is now a go-to-touch destination for most consumers when they are making a purchase. Studies show that over 80 percent of people trust the recommendations of their friends over those of an expert. Log on to your own social media account and see how many people are posting about their experiences with brands. Social media is essential for creating and maintaining a strong online presence. We’ve had the opportunity to work with some great companies in the Toronto region and beyond. During this time, we’ve learned that every brand is unique when it comes to social media. Running a business takes a lot of work and social media can often be forgotten. 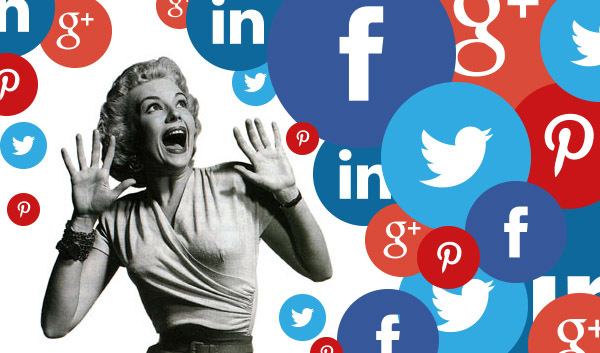 That’s why we recommend that brands utilize a social media automation tool such as HootSuite. These tools give you the ability to program boosts to various social media tools when you have a free moment. This allows you to focus on your core business tasks and have fresh social media content posting online without you even thinking about it. It’s also nice having all your social media accounts connected with one tool. It’s also important to monitor your social media stats on a regular basis. Within a few clicks, you’ll have access to view some important data about your social media audience including demographics, traffic sources, and your posts that have received the best engagement. There are even some advanced tools that let you see your most popular keywords, mentions of your brand name, trending topics related to your business and various other important metrics that can help you improve your online conversions. Social media campaigns should be an essential part of your overall online marketing plan. Whether you’re trying to have people view a landing page, click a call to action (CTA), watch a video, or sign up for a newsletter, a strong social media campaign will help you achieve your goals. Social media platforms such as Facebook will provide you with real-time information on how people interact with your content, giving you the option to quickly make revisions and try different content. All social media platforms offer some form of paid advertising. This allows you the ability to instantly gain more attention to your brand by spending a few dollars. You can decide who sees your ads by focusing on the demographics and geographic information relevant to your brand. More and more people are accessing their social media via a mobile device, it’s essential that all your social media content is mobile-friendly. Only post content on social media that’s both interesting and engaging. Avoid making too many ‘salesy’ posts on your social feeds. If your audience finds your content useful they will engage with your brand and come back for more. Content can range from funny memes to informative white pages. Try inserting relevant keywords into your post to get more organic traffic, hashtags can also be an effective tool when used correctly. Partnering with a social media marketing consulting agency can be a great way to take your social media presence to the next level. Ideally, the marketing firm will have the ability to help with content, design and campaign analytics. They should be able to look at your social media data and come up with ways to improve your campaigns. An experienced social media consultant will help you target the right demographics and create effective CTAs that create leads. The best social media is a two-way conversation with customers, most digital marketing firms will provide your team with training on how to effectively respond to social media feedback and questions. 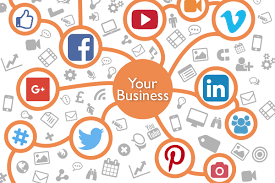 There are some exciting integration options available for business owners want to connect their social media to other online marketing channels. Facebook reviews, Instagram posts, and Twitter updates can be instantly embedded on your website. Mentions of your brand on social media can appear in your CRM, allowing for an excellent customer interaction and sales opportunities. People are turning to social media to get customer and technical support. Facebook Messenger continues to gain popularity as a customer interaction option, many brands are encouraging their customers to chat with them using the tool. This can be an effective way to communicate during both regular and off-hours. It’s important that the people monitoring your social media have a strong understanding of your brand and the services you offer. This is an exciting time for social media and we’d love to be your partner in brand’s success. Our team of experts will help your brand get noticed on Facebook, Twitter, Instagram, YouTube, LinkedIn, Snapchat, and various other social media platforms. Contact us today and we’ll work with you to create a social media marketing plan suited to the needs of your business. Why should I include social media in my online marketing strategy? It’s a common question we get from our Toronto clients daily. Sure, most businesses understand that they should be somewhat active on social media, but is it worth the time and money to stay prominent on platforms such as Facebook, Twitter, Youtube, Instagram and all the other social media platforms. Time and time again, we’re asked by business owners such as yourself, how can I measure my return on investment (ROI) on social media. We understand, regardless of the size of your marketing budget, you need to know that your spending money in a way that’s going to increase customers and sales. Budgets are tight and you need to ensure that you are getting the best bang for your marketing buck.